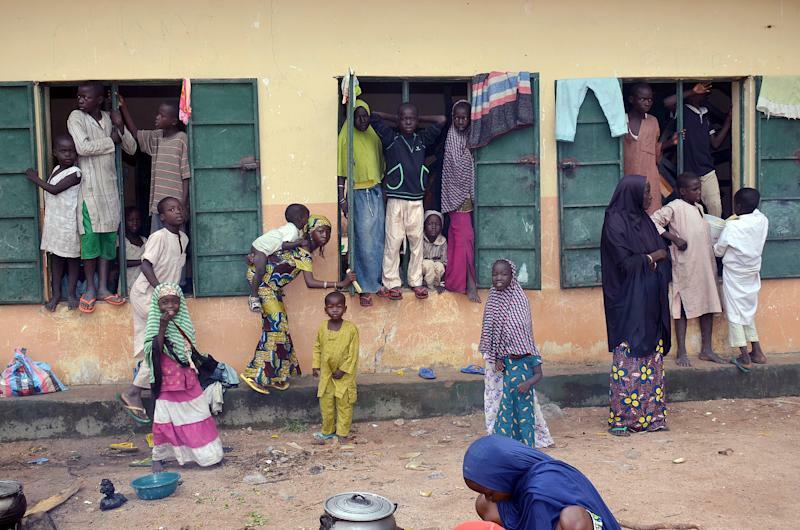 Kano (Nigeria) (AFP) - Boko Haram gunmen have killed scores of residents in a Nigerian town on the border with Cameroon that they captured in recent raids, witnesses told AFP on Saturday. The militants seized Gamboru Ngala earlier this week after taking over military and police facilities in a fierce gun battle which forced thousands of residents across the border into Cameroon. The residents fled to Fotokol for fear of attack by the Islamists, despite being told they were only after security personnel and local vigilantes. "They are now killing people like chickens," said Sidi Kyarimi, a Gamboru resident who fled to Fotokol on Friday. "They started by selective killings and later went on a killing spree." Among those killed included the town's highest Muslim cleric and the head of its traders' union, he said. "They threaten to kill anybody who refuses to leave the town. They say we don't belong," he added. The insurgents were roaming the streets of the town carrying guns and machetes, shooting and hacking to death residents, said Yusuf Sanda, who also fled to Fotokol. "They have been breaking into homes and shops and looting them," he said. "Initially they said we were free to stay or leave but now they are saying all residents should leave the town because it is now an Islamic Caliphate." Sanda said he escaped to Fotokol by wading through the shallow river on the border because it was too dangerous to walk the streets with the insurgents on the prowl. Boko Haram has in recent weeks seized territory in northern Borno state near the border with Cameroon in an apparent move to carve out a state for themselves. In a video obtained by AFP last weekend, Boko Haram leader Abubakar Shekau declared the town of Gwoza, which his men captured earlier this month, as part of an Islamic caliphate. 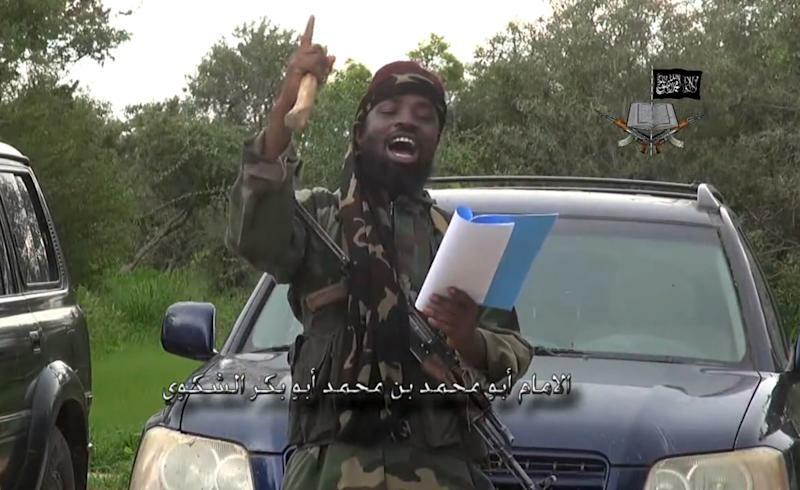 Boko Haram now controls at least three districts in Borno state and at least one each in Yobe and Adamawa states. 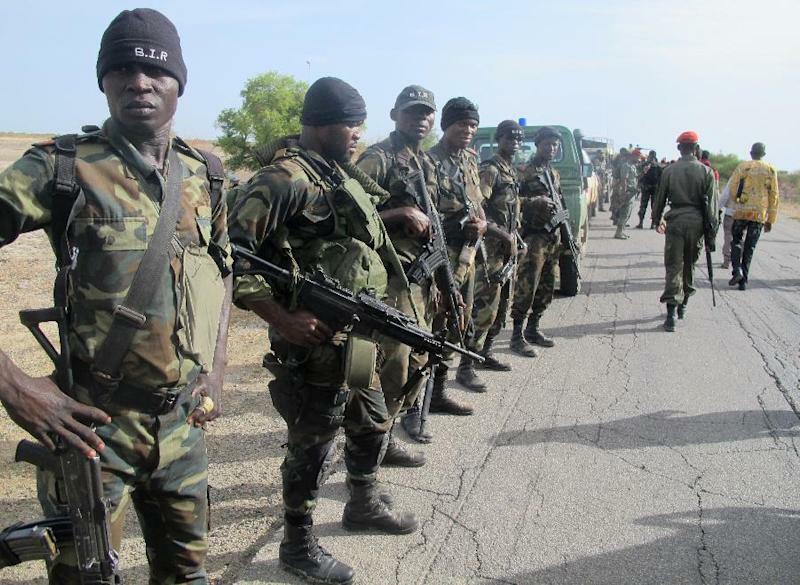 The military has maintained that Nigeria's sovereignty is intact and denied reports that soldiers fled the Boko Haram assault in Gamboru Ngala into Cameroon. Borno, Yobe and Adamawa have been under a state of emergency since May last year but despite some initial gains, the military has been unable to stem increasing violence, particularly in remote regions. Madagali, a predominantly Christian town in the north of Adamawa state, was the latest to fall in the hands of Boko Haram after they chased out troops. Scores of Christians were killed in the town and many Christian women were allegedly forced to convert to Islam and marry insurgents, according to the spokesman for the Roman Catholic diocese of Maiduguri. "Christian men were caught and beheaded, the women were forced to become Muslim and were taken as wives to the terrorists," Father Gideon Obasogie alleged. "The houses of Christians that have fled are now occupied by the Haramists. Their cars are used by the terrorists. Strict Sharia law had been promulgated", he added in an emailed statement. There was no independent confirmation of Obasogie's claims due to poor phone networks in the remote region and the mass exodus of residents.